I'm a huge fan of Stacy London - What Not to Wear is such a great show, and I also love following her Twitter account - so when I saw that she was coming to speak at The Frick, I bought my ticket as quickly as I possibly could. This turned out to be a great decision, because the event sold out in about 12 hours! I've talked about The Frick here before - the last time I went, they had an Irving Penn photography exhibit, which I absolutely loved. Their new exhibit is called Undressed: A History of Fashion in Underwear, which looks at how style reflects and shapes our views of human bodies, and how this has changed over time. 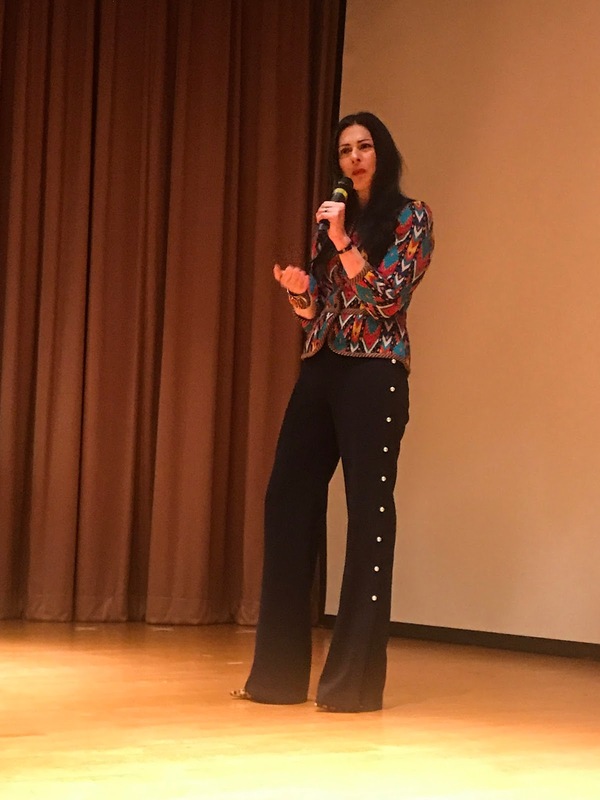 Stacy's talk was titled The Power of Personal Style, and focused on how knowing your body and taking control of your style can help improve your own body image. Stacy talked a lot about the psychology behind style and body image, which was a really interesting perspective. She explained that we're always going to make judgements about other people - our brain makes an initial judgement in the first three seconds of seeing someone, and it's not something that we can control. She also brought up how much we internalize what we see, and how our brains can be held hostage by these images. "What you wear is being aware" was my favorite quote of the night, and something I absolutely agree with. Stacy made it clear that we have the right to wear whatever we want, and it's never an invitation for any type of sexual harassment. But by being aware of our bodies, and our style - that's going to help us to look and feel our best, and going to help us achieve what we want to in our lives. She had a lot of other useful tips and tricks for personal style - she talked about the use value and joy that our clothes should bring us - but my favorite part of the evening was when diversity in fashion came up. Another woman in the audience asked a question about dressing for her body type, and Stacy talked about how she decided to work with the midwest store Meijer because they wanted to have a line of clothes were all sizes were available for all styles on the same rack, and not segregated into "regular sizes" and "plus sizes." She went on to talk about how fashion really needs more diversity to reflect what the rest of the world looks like. She looked over to me and we had a great discussion about the lack of handicapped diversity in fashion. I talked about how hard it is for me to find clothing that fits me but doesn't make me look like a child. The fashion industry doesn't make clothes for "different" body types like mine. 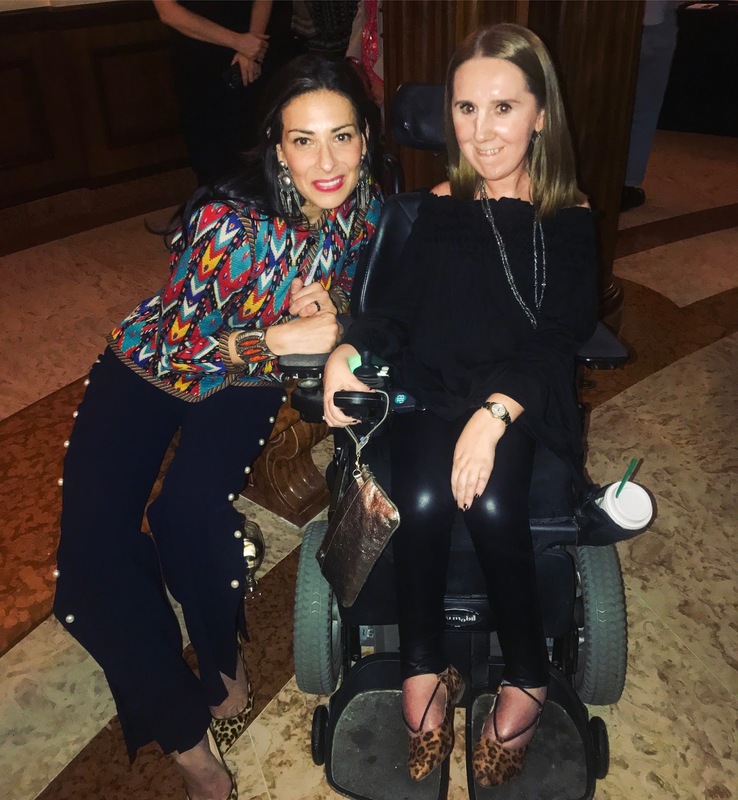 Stacy had some tips for me, and even complimented my necklace, which felt great - but what felt the best was knowing that she was aware of, and had thought about, the lack of handicapped representation in fashion. Stacy's talk about diversity in fashion fits in really well with my hope for this blog. I want to add to diversity here online! I do care about fashion and style, about how I look and about how I present myself. It makes me feel good about myself, and I do think it goes far in showing people that my wheelchair doesn't define me. But finding clothes that work for me isn't always easy, and lots of other parts of my life that seem like everyone else's aren't always easy, either. Stacy's discussion was a great reminder that while people are aware of this, more diverse voices adding to the discussion is needed. Stacy was kind enough to stay after her talk to chat and take a picture with everyone who asked. She even let me gush to her about my love for Hamilton, since she knows and has worked with the Miranda family. She recommended a new series on Vox, called The Divided States of Women, which highlights underrepresented female voices, that I'm really looking forward to. It was such an amazing night, and I cannot thank Stacy enough for all of it! I don't want to end this post without mentioning Undressed, the current exhibit at The Frick. We got to walk through the exhibit after the talk ended, and it was really interesting to see the history of underwear - how it started as something just as a necessity, and then started to change to shape and reflect society's ideas of bodies. The exhibit also showed how fashion has borrowed from and been inspired by shapes in undergarments over the years. If you're in the Pittsburgh area, definitely go check this out!